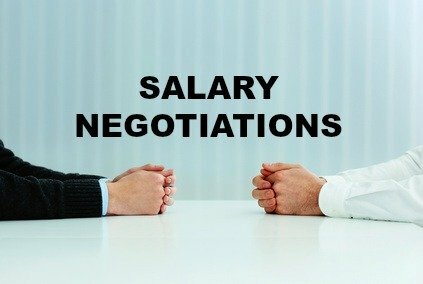 Successful salary negotiations involve collecting all the relevant information, planning your negotiation strategy, considering various alternatives and then communicating clearly and specifically with the employer in negotiation towards your goal. The first step in salary negotiation is to do your homework and know what you are worth in the marketplace before you begin your job offer negotiation. Do your research thoroughly as your greatest tool in negotiating is information. Planning your negotiations is all about having the right data available. Find out what other organizations in your field pay for your skills by taking these simple steps. It is much easier to persuade someone to agree with your salary request if the proposal is firmly based on objective criteria, such as what people with similar experience and skills are currently earning. There are a number of ways of doing this research. You can research salaries on the internet for particular jobs and geographical regions. These free sites can help you with the information you need for your salary negotiations. Look for similar job postings in your area on the internet and see what they are paying. You can use the following resources to get more salary information. Ask other people in your field or profession, who work in a similar job at another company. This provides complete and up-to-date information. Teachers and professors who know what their graduates earn. This is especially useful for entry-level jobs. Printed material such as the Occupational Outlook Handbook provide salary surveys. You can usually find a copy at your local library. Consider the salary information you have gathered in the context of these business climate factors. This is what you are worth to this specific employer. Consider the following. Establishing your market-value and company-value will give you the information you need to develop an effective negotiation strategy. What salary do you need to support your lifestyle? Use the expenses calculator to work out how much money you need to live on and how much you would like to earn to determine your acceptable salary range. Evaluate the entire compensation package. Find out how to put a dollar value to company benefits and other elements of the job offer. Decide which elements can be negotiated when planning your negotiation strategy.